​The PROSTEP and PTC longstanding ​partnership has evolved to ​provide integration enabling digital product information to be linked with operating data of the real product. This can all be seen converging on the ThingWorx platform. With support for the ThingWorx Orchestration Integration framework, PROSTEP OpenPDM solution is the basis for all integration solutions. The software offers basic data mapping and workflow definition functions that can be used to manage the entire process involved in data synchronization between connected systems. Watch below to see how to integrate ThingWorx ​with ​SIEMENS, Dassault, and SAP. 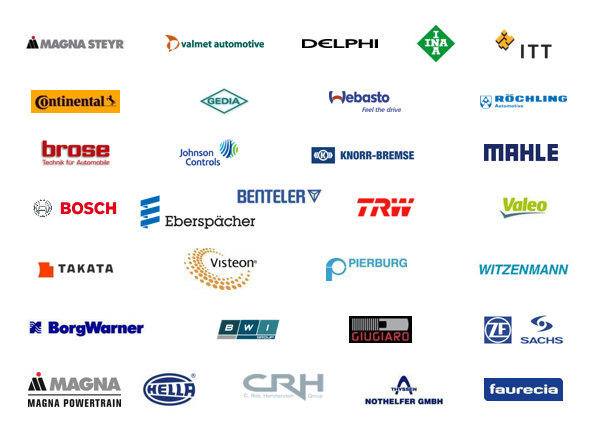 "We are proud that we were one of the first PTC partners to have the opportunity to test the new integration framework," said Peter Pfalzgraf, head of the Products business unit at PROSTEP. "The presentation of the demonstrator underscores our expertise in the field of PLM integration and also enables us position ourselves as a competent integration partner when it comes to IoT." ​Contact PROSTEP and learn more about your specific use case. ​OpenPDM ThingWorx CONNECT to Teamcenter establishes the connection between the PLM system Teamcenter UA from Siemens PLM and the ThingWorx platform bidirectionally. The solution is providing services to enable the access from ThingWorx to PLM objects in Teamcenter like items or documents. This includes the automated provision of individual parts, BOMs, documents and complex product structures from Teamcenter into the ThingWorx platform. Vice versa, relevant product information collected in the ThingWorx platform can be synchronized back into Teamcenter. Cross system engineering processes, e.g. an Engineering Change Request, can be fully automated between ThingWorx and Teamcenter. Besides, PROSTEP solutions also enable the access to Teamcenter based on PTC Navigate for predefined use cases. Integrate your PLM world directly into ThingWorx and access your PLM data from the platform. IoT workflows require an integration with the PLM world. Data continuity throughout the complete Product Lifecycle is key for future business models. This includes the accessability of all PLM data. Instead of working in parallel systems, the integration with Teamcenter helps your ThingWorx users in their daily work. The integration provides automated, predefined and consistent processes and prevents the duplication of work in different system as well as error-prone manual rework. ​​OpenPDM ThingWorx CONNECT to 3DEXPERIENCE establishes the connection between the PLM system 3DEXPERIENCE from Dassault Systèmes and the ThingWorx platform bidirectionally. The solution is providing services to enable the access from ThingWorx to PLM objects in 3DEXPERIENCE like parts or documents. This includes the automated provision of individual parts, BOMs, documents and complex product structures from 3DEXPERIENCE into the ThingWorx platform. 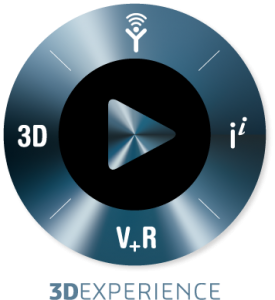 Vice versa, relevant product information collected in the ThingWorx platform can be synchronized back into 3DEXPERIENCE . Cross system engineering processes, e.g. an Engineering Change Request, can be fully automated between ThingWorx and 3DEXPERIENCE. Besides, PROSTEP solutions also enable the access to 3DEXPERIENCE based on PTC Navigate for predefined use cases. ​Integrate your PLM world directly into ThingWorx and access your PLM data from the platform. IoT workflows require an integration with the PLM world. Data continuity throughout the complete Product Lifecycle is key for future business models. This includes the accessability of all PLM data. Instead of working in parallel systems, the integration with 3DEXPERIENCE helps your ThingWorx users in their daily work. The integration provides automated, predefined and consistent processes and prevents the duplication of work in different system as well as error-prone manual rework. OpenPDM ThingWorx CONNECT to SAP PLM establishes the connection between the ERP / PLM system SAP and the ThingWorx platform bidirectionally. The solution is providing services to enable the access from ThingWorx to ERP and PLM objects in SAP like materials or documents. This includes the automated provision of individual parts, BOMs, documents and complex product structures from SAP into the ThingWorx platform. Vice versa, relevant product information collected in the ThingWorx platform can be synchronized back into SAP. Cross system engineering processes, e.g. an Engineering Change Request, can be fully automated between ThingWorx and SAP. Besides, PROSTEP solutions also enable the access to SAP based on PTC Navigate for predefined use cases. Instead of working in parallel systems, the integration with SAP PLM helps your ThingWorx users in their daily work. The integration provides automated, predefined and consistent processes and prevents the duplication of work in different system as well as error-prone manual rework.